ARC provided by Flatiron Books in exchange for an honest review. Let me just start this off by saying that I normally only one star something if it has very problematic content. This book only has one element that made me uncomfortable (that I will talk about later on), but the main reason I’m giving this one star is because it was so ungodly boring. Next, and this could be completely my fault, I feel like this is marketed as a YA Fantasy, when it takes the reader almost 250 pages, out of a 360 page book, to even get into the fantasy aspect and by that time I couldn’t care less about some pseudo Alice in Wonderland. This reads like a YA Contemporary Mystery and that is not a genre that I enjoy reading in the slightest, so maybe that is the main reason this didn’t work for me. 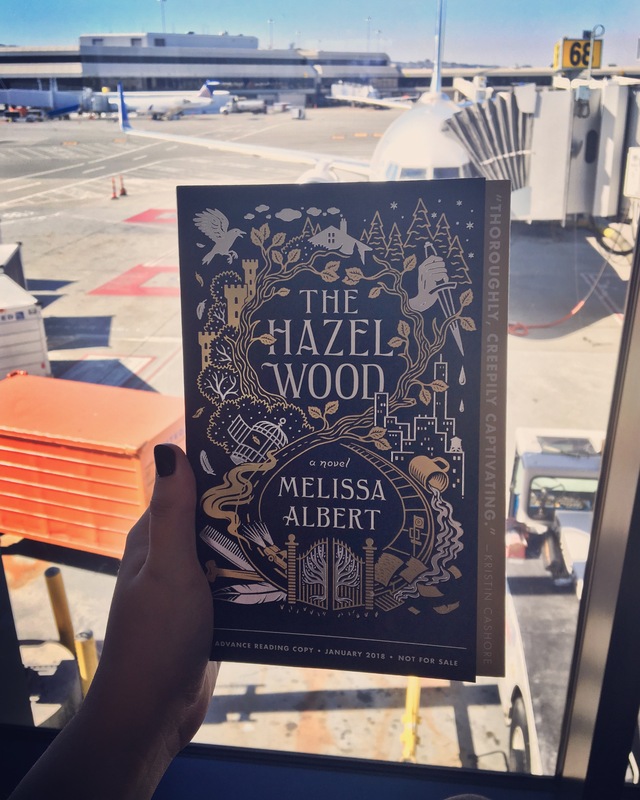 So the basic premise of The Hazel Wood is that a seventeen-year-old girl named Alice has been on the run with her mother, Ella, for as long as she can remember. They go from city to city, house to house, sometimes sleeping in their car, always on the run from the “bad luck” that follows them. Alice’s grandmother, Ella’s mother, is a very famous author who wrote a collection of short stories that are incredibly hard to find in today’s world. The short stories are very dark fairytales, that have netted her grandmother a very cult-like fanbase that totally gave me some Nightfilm vibes if I’m being completely honest. Alice has never met her grandmother, and she’s never visited the exclusive estate she lives on called the Hazel Wood. But after Alice’s mother is kidnapped, she is desperate to find any means possible to finally visit the mysterious estate and to get her mother back once and for all. But this book was so incredibly slow. I had to bribe myself with chocolates to even finish it. This is a 360 page book, and it took me SEVENTEEN days to read it. That’s a little over 20 pages a day. And that’s honestly all I could do, because I was so uninvested. And it’s actually mindboggling to me that this book is even 360 pages long, because I feel like everything could have taken place in 150-200 pages, too. And Alice is such an unlikeable main character that isn’t supposed to be an unlikeable main character. She’s so rude, and self-centered, and unable to recognize her privilege because she can’t get over the fact that she grew up poor. She talks over people, and is demanding, and refuses to acknowledge her mistakes. I could never and will never connect with her, and it was honestly miserable to be inside of her head. So, the problematic element is the treatment of the biracial side character who Alice spends most of the book with. Finch is the only person of color in this book, and Alice constantly remarks on how unattractive he is, and it feels really bad. Then, when they get into an altercation with a police officer, Finch tries to explain to Alice about racial profiling and how he feels uncomfortable being around cops and being noncompliant around cops, while Alice just completely disregards his very valid feelings by saying he’s rich and privileged. Like that negates the color of his skin and the racism he faces every single day because of it, because she grew up poor and on the run with her mom. On top of the fact that Alice will never let Finch speak, because she’s always interrupting and talking over him. It just reads badly and made my very uncomfortable while reading. Also, Alice even got physically abusive a couple times and I just wasn’t there for it at all. The other minor thing that just made me feel a little uncomfortable while reading was that this book kind of romanticizes kidnapping. Like, Alice has very fond memories of being kidnapped when she was six and it feels almost like glorifying it. Maybe this just rubbed me the wrong way because I was always deathly afraid of being kidnapped as a child, but I didn’t enjoy reading her memories on kidnapping whatsoever, either. And the last thing is that the deus ex machina in this book is very strong. So many things just so conveniently happened, especially at the end of this book when we are finally in a fairytale land, to wrap up this story. This book just wasn’t for me or my tastes. It’s the very start of 2018 and I can tell you that this will 100% make my most disappointing publications of 2018 list. And from all my friends’ reviews, I truly think this is going to just be a polarizing book! People are going to hate and dread picking it up, or they are going to be completely engrossed, love, and devour it. And you guys know that just because I disliked this book, it doesn’t mean that your feelings are invalid. If you liked this book then I am truly happy for you, but this book just really didn’t work for me. And if you do decide to pick this one up, I hope you find way more enjoyment within its pages than I did. Content warnings for underage alcohol consumption, drug use, self-harm, talk of suicide, and mild violence. The quote above was taken from an ARC and is subject to change upon publication. 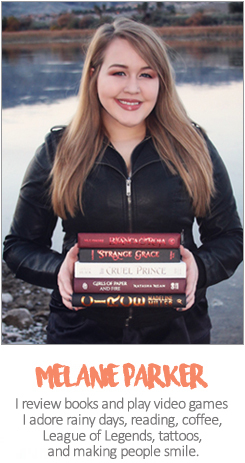 Just goes to show you can’t judge a book by a cover… it has a really pretty cover!! Dang. This doesn’t sound good at all. I was excited for this one, but now I think I’ll pass. Such a shame you found this boring. I was excited for this, like Sarah said, but I do think I’ll still consider reading this- I’ll just check out a sample first to see if I like the writing style. But there’s no way I have the patience to read a book that I can only read 20 pages at a time 😉 Great review! Ugg. my biggest pet peeve is genre miscategorization. It hurts the book, the author, the publisher, and the reader! But it looks like that’s not this book’s only problem… Great critical but honest and objective review!